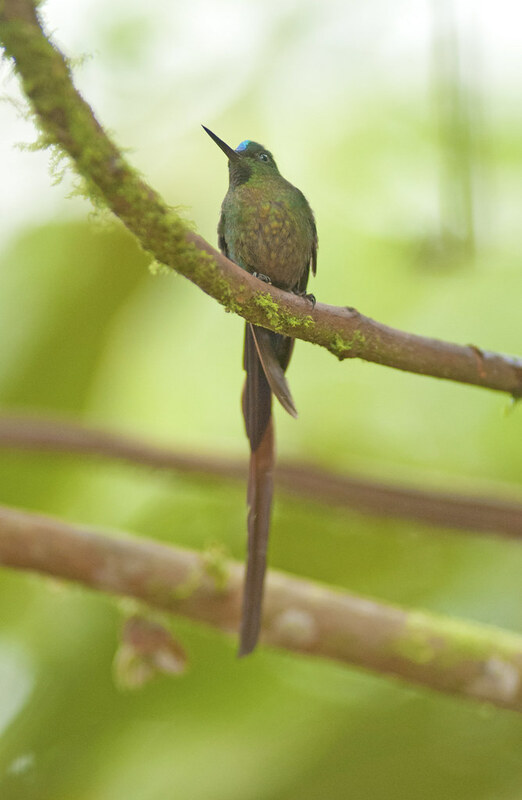 The violet-tailed sylph is a species of hummingbird. It is found in Colombia and Ecuador. This Sylph lives in areas from 300–2,100 metres in elevation, though typically above 900 metres on the west slope of the Andes. The Mindo-Nambillo Forest Reserve is a private reserve most popular among eco-travellers because of its incredible diversity of wildlife and plants.